Posted on June 10, 2014 at 11:33 am. 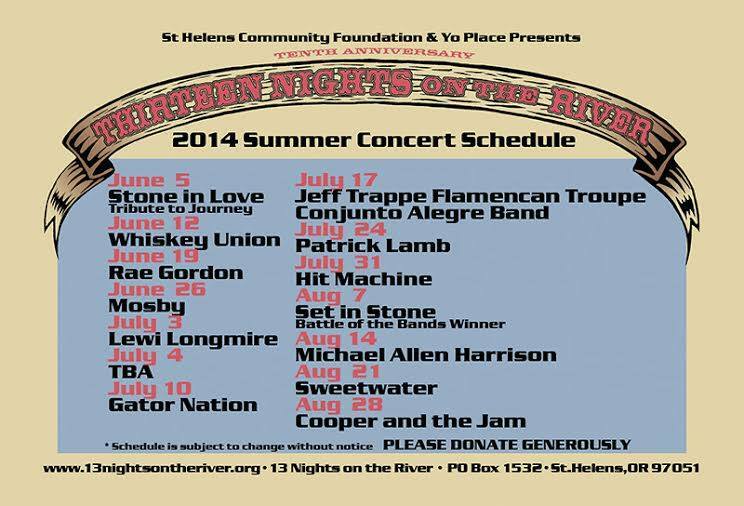 The Journey tribute band Stone in Love kicked-off the 13 Nights on the River concert series June 5 at Columbia View Park in Olde Towne St. Helens. Performances are 6 to 9 p.m. Thursdays through Aug. 28. Photo courtesy of Jack Hruska. 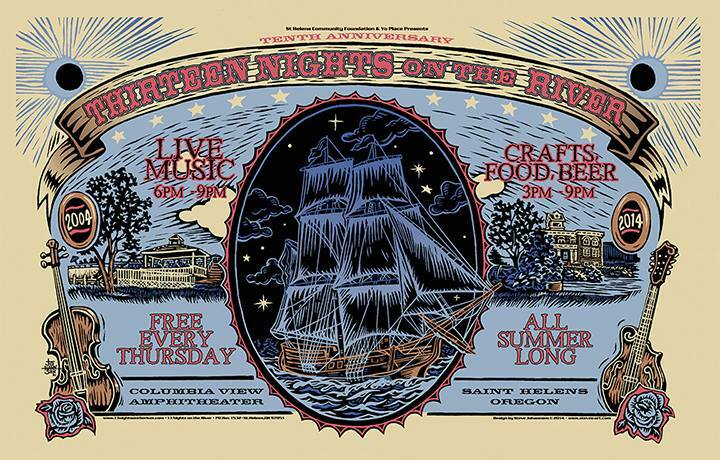 ST. HELENS — Stone in Love, a Journey tribute band, marked the start of the 10th annual 13 Nights on the River concert series on June 5 in Columbia View Park, located off The Strand street in Olde Towne. Weekly performances will continue from 6 to 9 p.m. Thursdays through Aug. 28. Admission is free. An open air market selling crafts, food and beer also will be featured from 3 to 9 p.m. 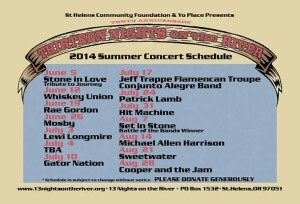 The concert schedule is subject to change without notice. Major sponsors of the series include the St. Helens Community Foundation and Yo Place. 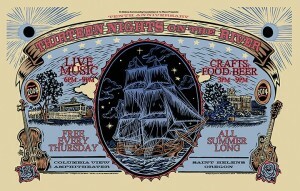 Details: call 360-450-1803, or visit the website at www.13nightsontheriver.org. Posted on July 10, 2013 at 11:31 pm. 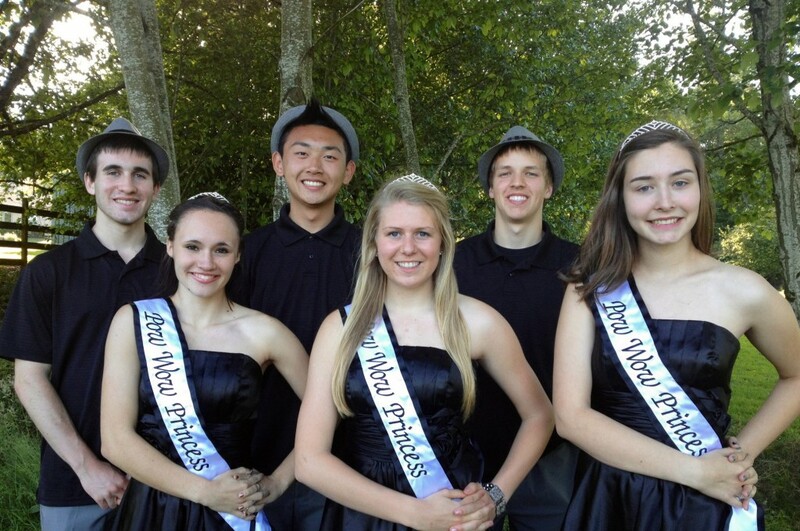 The 2013 Scappoose Pow Wow court: (from left to right) Brandon Patanjo, Sandra Hales, Johnny Kang, Lindsey Marquardt, Isaiah O’Brien, and Kristen Hansen. Photo courtesy of Scappoose Community Club (2013). Big events planned for today and through the weekend in Columbia County. For a complete list of each event’s offerings, schedules, pricing and registration deadlines, visit the web sites published with the listings below. Scappoose Pow Wow: July 11-14; Veterans Park, Southwest JP West Road and Capt. Roger Kucera Way; concerts, cruise-in, grande and junior parades, Pow Wow court presentation, food and merchant vendors, “Battle of the Bands” competition, fun run, kids and teen zones, a mini Pow Wow, Texas Hold ’em poker and softball tournaments, wine tasting, beer zone and a mystery event; free; details: www.scappooseboosters.org. 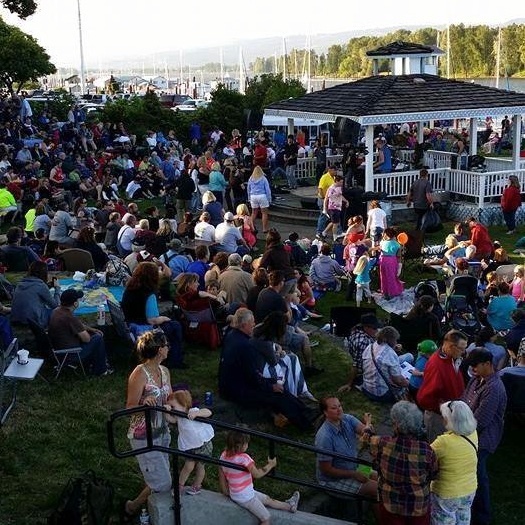 Rainier Days in the Park: July 11-14; Rainier City Park, West A Street; live music and other entertainment, food and merchant vendors, pancake breakfast, parade, carnival, Ralph Painter Memorial Run, fireworks display, beer garden; free; details: www.rainierdaysinthepark.com. Annie the Musical: 7 p.m., July 11-13 and 18-20; and 2 p.m., July 13 (featuring understudies); Scappoose High School theater, 33700 S.E. High School Way; presented by Shoestring Community Players; directed by Serah Pope; $12 general admission, discounts available to children ages five and younger, and senior citizens; purchase tickets in advance at Bertucci’s candy shop in St. Helens or online at www.sscpmusicals.com/tickets.